Ultra-quick endurance racer Seb Morris made a dramatic, and very unexpected, eleventh hour return to the British GT Championship at Silverstone Grand Prix Circuit on Sunday where the reigning champion reunited with Rick Parfitt Jnr in the category’s biggest race of the year. Scrap the obligatory crate of beer this Father’s Day and show your father figure how much he really means to you by treating him to one of Castle Combe’s driving experiences! To help you look like the very best child he could ever ask for, they’ve reduced the price of the popular Driving Experience Course to just £99 when booked before 18 June – with courses ordered between these dates also receiving a free gift box worth £25! “Well that was an unexpected Sunday!”, explained super-sub Morris, “I got a call from Rick’s wife Rachel after I’d just finished a run in my local park, it was a nice chilled-out Sunday, and she said ‘we need you at Silverstone, Ryan’s unwell and we need you to drive’. 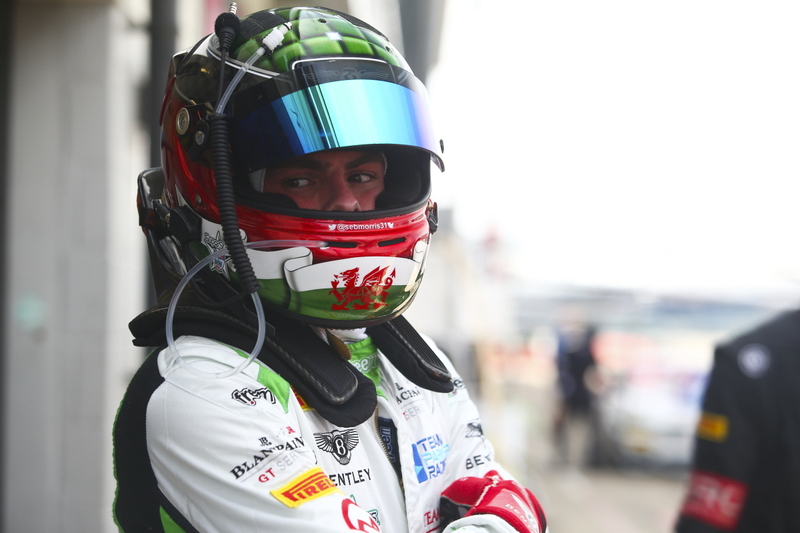 Next up for Morris, not accounting for any further last-minute call-ups, is the Total 24 Hours of Spa in Belgium, round four of the Blancpain Endurance Cup season, over the weekend 28 and 29 July.